Grew up with BC Peristeri (Greece) juniors. Made his debut with BC Peristeri during the 1999-00 season. Signed for the 2004-05 season by AEK Athens. Back to Greece for the 2008-09 season, signed by Olympiacos Piraeus. Signed for the 2009-10 season by Maroussi. Signed for the 2010-11 season by Olympiacos Piraues. 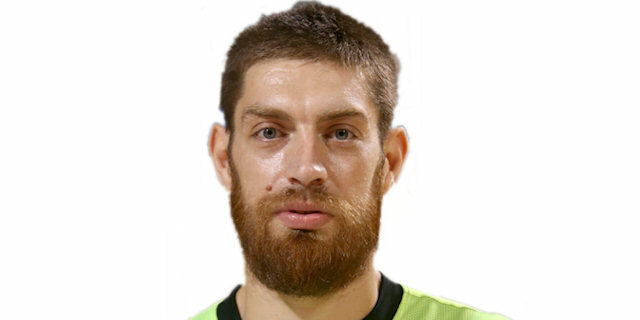 Signed for the 2012-13 season by Aris Thessaloniki. Moved to Romania for the 2014-15 season, signed by CSU Ploiesti. Moved to Greece for the 2015-16 season, signed by Aris Thessaloniki. Won the 2014-15 Romanian National Championship with CSU Ploiesti. Won the 2014 Romanian Super Cup with CSU Ploiesti. Played the 2001, 2003 and 2010 All Star Game.